Thanks for joining us this week for The Creative Corner! DIY Lavender Body Scrub from Pastels & Macarons. Coloring Pages For Bible Journaling from The Southern Couture. Early Spring Felt Rosette Wreath from Curly Crafty Mom. Make Your Own Towel Hooks from Making It In The Mitten. 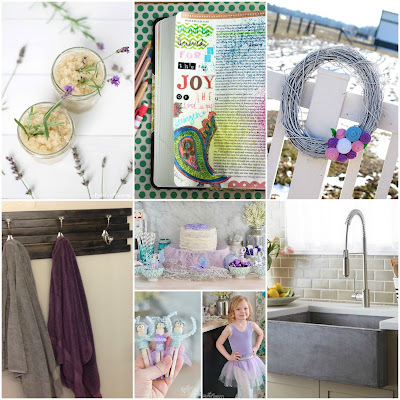 Sugar Plum Fairy Party and DIY Tutu from The DIY Mommy. Modern Farmhouse Kitchen Finds from The Dempster Logbook. Each week, your hosts will choose a post to feature from the previous week. If you want a chance at being featured, you must follow all of the hosts in someway. By linking up, you agree to let each host share your photo and link back to your site, as well as receive a weekly e-mail letting you know when the party is live. We will never give your e-mail or info to anyone, nor will we spam you! The Creative Corner link party goes live Sunday 6pm PST and ends Thursday at 5pm PST. 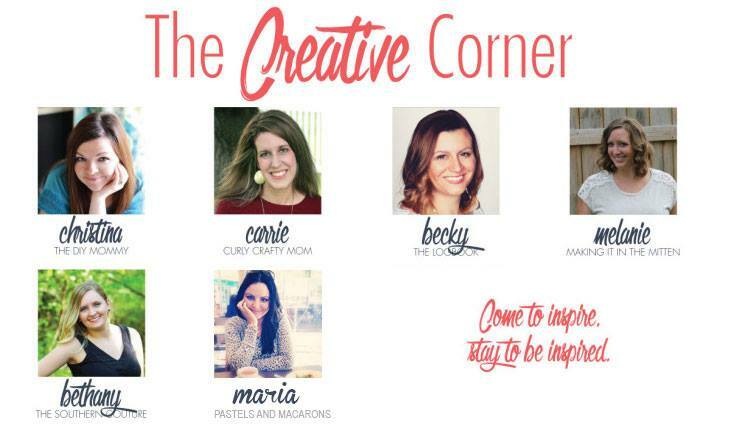 I'd love for you to grab The Creative Corner button in my sidebar to put on your own blog if you want to help spread the love! 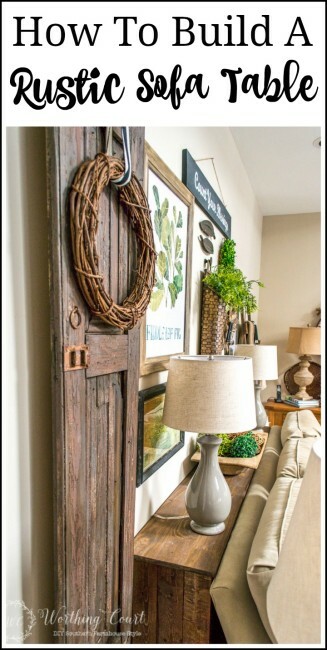 Suzy from Worthing Court shared with us How to Build a Rustic Sofa Table. I love the idea of a sofa table! They are such a nice addition to the living room decor, as well as very convenient to be able to set drinks on no matter where you're sitting on the couch. I wish my living room was wide enough to squeeze one of these babies behind my couch! Now it’s your turn to join in on the fun and link up your recent craft, DIY, or home posts so get ready to motivate others and be inspired! Don't forget, if you want a chance to be featured next week to follow all of the hosts above!